I'm sure most of you beauty and skincare lovers would have heard of snail products. Benton was one of the brands that I wanted to try out when I was first doing research on snail mucus products back in 2013 as they are known for having no fillers and preservatives in their products. I ended up buying the Benton Snail Bee Essence and put the Benton BHA Aloe Toner on my wishlist. The combination of BHA, aloe vera, and snail mucus sounded perfect (and no, snail isn't gross. It's actually very nice). 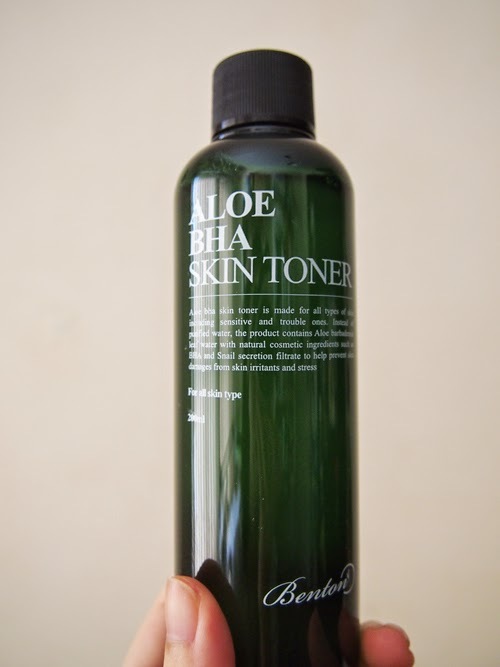 Being an avid visitor to /r/AsianBeauty and seeing the mixed reviews on the Benton Toner further piqued my interest-- will this toner work miracles for me, or will my skin react badly to it?